New Home Construction, Kitchen and Bathroom Remodels, Finishing Basement, Additions, Sheds, Deck, and a Lot More!! TO SCHEDULE AN ESTIMATE VIA EMAIL CLICK HERE! We are your Local, Licensed and Insured General Contracting Company. 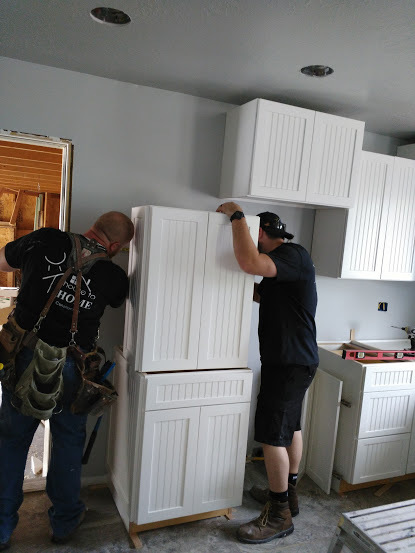 We offer many services in New Home Construction, Home Remodels (including Beautiful Kitchen and Bathroom Remodels), Finishing Basements, Sheds, Decks, Additions, and a Lot More! We pride ourselves in Honest and Good work. We make every effort to build or complete your project the right way. Your home is an investment that you want to last. House to HOME Construction does NOT cut corners to make a buck. House to Home's quality shows in framing by framing 16" on center and trimmers in doorways; no crooked walls, no creaking floors. We insulate what should be insulated properly such as; draft stops, under tubs, and ceilings. 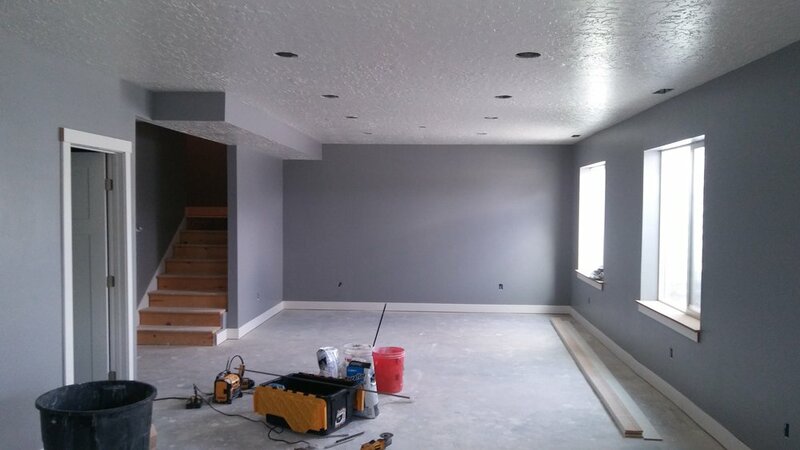 Our drywall work will have less seams and smooth tape and mud work. These are just few of the many examples to why we stand apart from the rest. 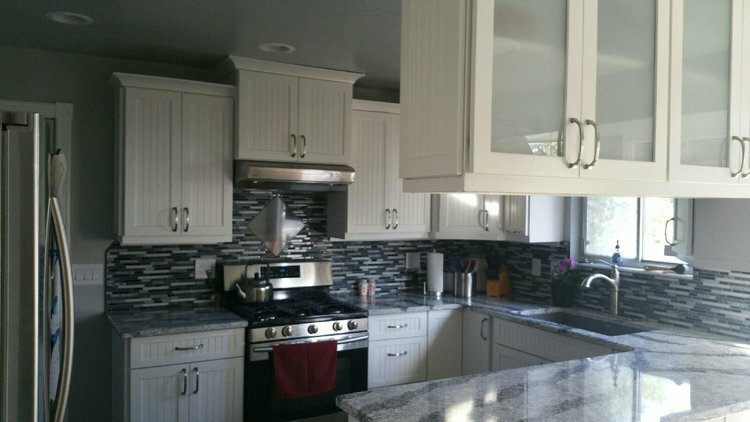 This was a House to HOME Construction full kitchen remodel. All the old oak cabinets were removed, including the laminate flooring, and appliances. New tile floors were installed, electrical outlets moved, and water lines fixed. Custom Beaded Panel Solid Wood Cabinets were install with a soft close feature on all doors and drawers. New sink, faucet, granite countertops, tile backsplash, lighting, moldings, and finishing touches were all installed. 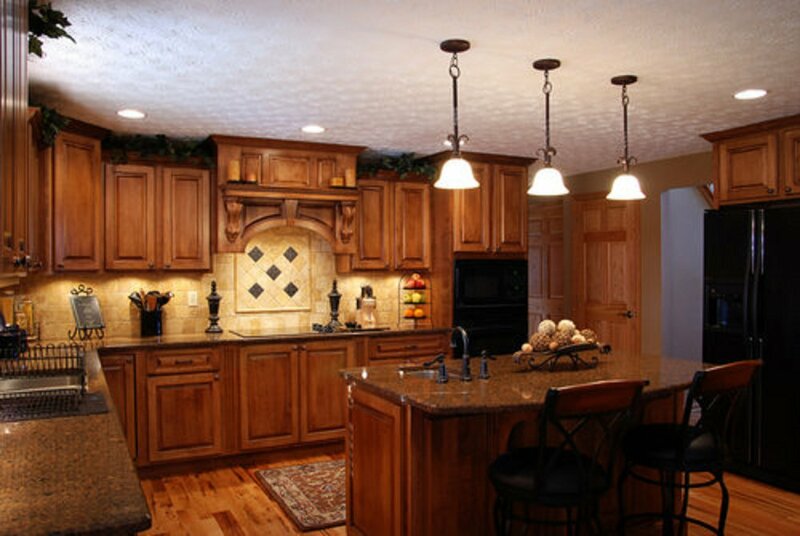 Visit our kitchen remodel services for more information! 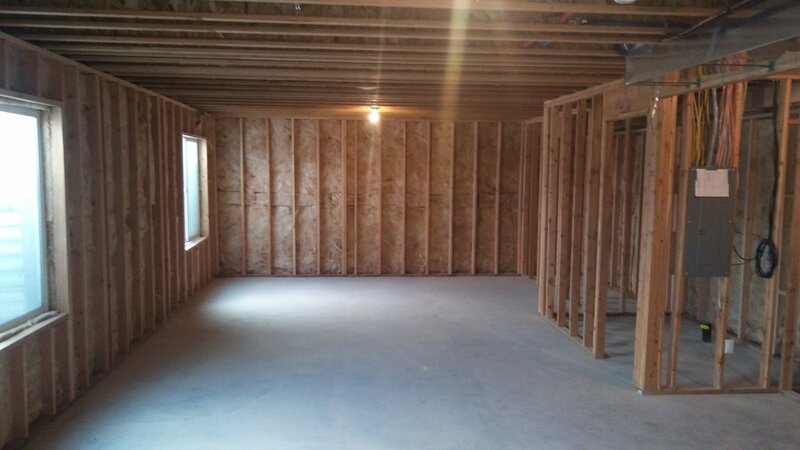 House to HOME Construction Utah finishes basements. In this Beautiful Bathroom Remodel the room was taken down to the studs. The room got new walls, tile floors, trim, windows, lighting, etc. A Stunning custom vanity was built and installed (as shown). 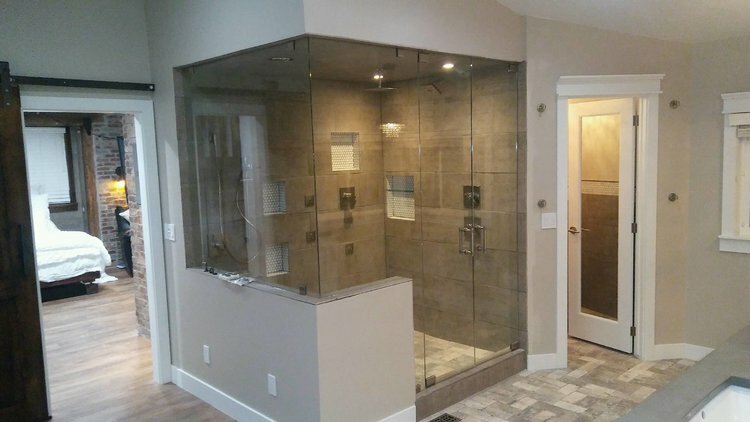 The 10' x 7' shower has so many features; a large built in bench, two wall and hand held shower heads, a over head waterfall shower head, multiple body jets, custom glass, and more! Visit our bathroom remodel page for more information. Home prices are increasing rapidly. 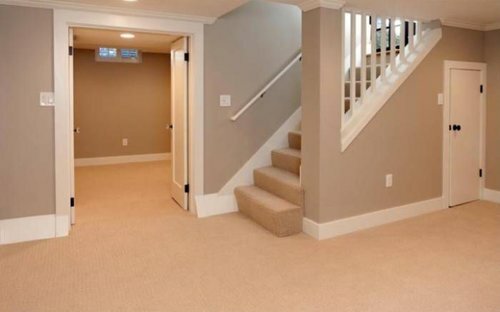 Rather than moving to a larger home, you can increase square footage by finishing your basement. House to HOME have finished numerous basements. Some that include walk out basements, game rooms, exercise rooms, offices, bedrooms, movie theatre rooms, and more. Visit our basement services pages for more information.